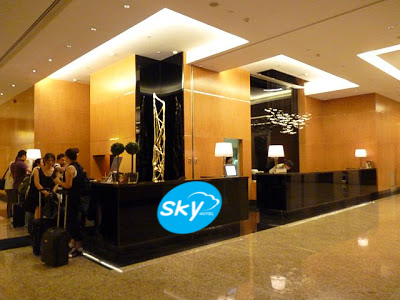 SkyHotel is conveniently located next to the Oldwich Skypark Main Terminal Building. 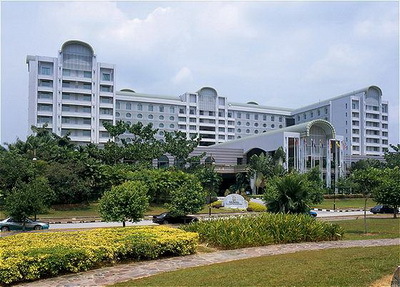 The hotel is linked to Skypark via a sky-bridge and is only a five-min walk. SkyHotel also provides a complimentary 24-hour buggy shuttle service between the airport and the hotel. Guests can also check into their room at the hotel check-in counter located in the baggage claim area of the Airport's International Arrival Hall. SkyHotel offers 100 luxury guest rooms and suites with sumptuous food and beverage outlets, namely, The Sanctuary (poolside), Sky Heaven Lounge, Tradewind’s Bar & Grill and SkyHot Restaurant (24 hours). The hotel’s recreational facilities include a beautifully landscaped outdoor swimming pool, outdoor tennis court and a 24-hour Health and Fitness Centre, featuring a fully fitted gym, steam room, sauna and Jacuzzi. Fully fitted with business facilities like the internet and wireless network capabilities, business can be conducted any time of the daylight or night, seamlessly at the hotel's Business Centre. 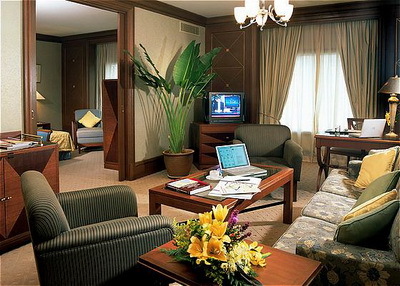 In summation, the hotel’s facilities also make it the ideal meeting spot for seminars and conferences. Altogether the 10 function rooms and an auditorium that can hold up to 184 people are equipped with high-speed Internet access as well as premium audio-visual services and equipment. A squad of professional meeting associates is also on hand to help in the detailed placement of any consequence. The hotel's newly opened check-in counter at the airport's International Arrival Hall baggage claim area now adds another superb convenience when staying at SkyHotel. While awaiting for your luggage to arrive, our airport associates will check you in, another effort in reducing down time wasting. Last edited by Saltbridge on Sun Mar 22, 2015 11:52 pm, edited 5 times in total. Referring your correspondence earlier, we glad to accept your application which to take part in the effort to develop our Skypark towards a more successful. Your entity(s) will be given permission to set up their business here on. The details are attached herewith. we from Pambudian Airlines want to establishing our airline hub in Oldwich Skypark. we want Oldwich Skypark as a home for our airline. Referring your correspondence earlier, we glad to accept your application which to take part in the effort to develop our Skypark towards a more successful. We would be delighted if you choose our airport as its main hub, where we have lots of infrastructure to support all airlines that use our airport. Hope it helps increase your company's profits. Last edited by Saltbridge on Tue Dec 30, 2014 7:18 am, edited 1 time in total. Brief Bio: Catalina Stanton was educated at Lookinghaven University in New Edom graduating with a bachelor's degree in linguistics. She worked as a teacher's assistant for a year afterwards before getting married and settling down with two children for the next seven years. After this during the Second New Edomite Civil War she became a volunteer at a refugee crisis center. While her husband, a journalist, was away as a war correspondent, she had to get a job at 100% Pure Beef, a New Edomite wholesale meats company, where she became forklift, pallet lift and shipping/handling/receiving trained. She worked as a lead hand before being sent to a management training course following the end of the civil war. A number of her responsibilities included dealing with vehicle maintenance and system maintenance. After this she got a job working as a human resources coordinator at a refugee camp in Glasstower New Edom where she acted as a liaison officer for the Isidium Foundation, an Adiran based NGO, which was helping distribute potable water systems and educational resources in the area. Catalina was promoted to be in charge of coordinating resource distribution in the greater area of Glasstower last year. This involved managing different sub-departments including transport, storage of supplies, maintaining hygiene and shipping standards and supervising the hiring and payment of personnel. Catalina has taken a course in HVAC systems through a plumbing and housewares distribution and maintenance company in Adiron. She believes that her hard work ethic, dedication to giving valuable service and her skills in communicating with people will be key to her providing the company with a high standard of performance. She has two children, Tabitha and Alby, from her marriage to Timothy Stanton, who is a professional journalist. Arrangements would be made for them to have regular child care with family. Her husband travels frequently as a correspondent for the Fineberg Times and does both sports and international reporting. I have the pleasure of informing you that your application for the post of CHIEF PROCUREMENT OFFICER in our company is SUCCESSFUL. Your appointment will commence on 01 January 2015 for a probational period of three (3) months. Your starting salary will be NSD$ 130,350.00 (not include overtimes/ others claims) per years. You are entitled 30 days paid annual leave and free medical benefits under the company health initiative. The appointment is terminable by one month's notice on either side. Please report to Mr. Sebastian Lawson Kell, our Chief Operation Officer at appointed day. Last edited by Saltbridge on Tue Dec 30, 2014 9:23 am, edited 1 time in total. I have the pleasure of informing you that your application for the post of SENIOR VICE PRESIDENT, AVIATION SUPPORT in our company is SUCCESSFUL. Your appointment will commence on 01 January 2015 for a probational period of three (3) months. Your starting salary will be NSD$ 109,100.00 (not include overtimes/ others claims) per years. You are entitled 30 days paid annual leave and free medical benefits under the company health initiative. The appointment is terminable by one month's notice on either side. Please report to Dr James Hunter Orr, our Chief Technology Officer at appointed day. Oldwich Skypark, a Saltbridge international airport management, today announced that Kauvers International Holdings LLC, a global investment firm based in The Recon Empire, has agreed to make a strategic investment in Oldwich Skypark. Kauvers will make a minority investment in Skypark by purchasing a portion of the equity investment held by SaltAC, which will continue to be a minority shareholder in Oldwich Skypark. Terms of the transaction were not disclosed. •	Kauvers International Holdings also acquired Saltgas Plantation and Saltgas Bioproducts equities. Greetings! Kauvers International Holdings is excited to acquire the stake and we see immense potential in its value growing! Kauvers would also like to announce that we will be having Dr Shin Jeong, Assistant Chief Operations Officer, serving as our representative at Oldwich SkyPark! His specialty is in Business Strategies, and is one of our most capable operation officers at Kauvers! He is currently serving as one of the three board members of Rostislavovich A&E, and has immense knowledge from his 24 years of business and his contributions to the Office of Exchequer. If you'd like Dr Shin to hold an additional post, please do not hesitate to let us know! E.g. Audit Director, Finance Committee Chairman, Visionary Committee Chairman, etc. these are just some of the positions that your board can expand into! Feel free to announce his appointment on a separate post, as this telegram is private. Thank you very much for allowing us to acquire the stake, we look forward to pushing Oldwich SkyPark to greater heights! Issue 015: JOAN'S PERSONAL CHIVALRIC ORDER SETS UP FOR A 6-MEMBER CORE MILITARY LEADERSHIP! Oldwich SkyPark today announced the appointment of Dr Shin Jeong to its Board of Directors. Dr Shin Jeong, serve as Assistant Chief Operations Officer at Kauvers International Holdings. His specialty is in Business Strategies, and is one of most capable operation officers at Kauvers. He is currently serving as one of the three board members of Rostislavovich A&E, and has immense knowledge from his 24 years of business and his contributions to the Office of Exchequer. He also lead this airport Long Term Planning Committee, as Committee Chairman. "We are pleased to welcome Dr. Jeong to our Board" said Harry Kasey Freudenberger, Skyparks's Chairman. The official hotel of Oldwich’s new Skypark, SkyHotel, opened January 1st in preparation for the official opening of the airport on January 30th. The ultra-modern hotel is placed just a three-min walk from the airport’s main terminal connected by a 200 meter, air-conditioned skybridge walkway. A direct rail link will connect the hotel to existing systems, downtown Oldwich and its key business districts. The unique plan allows for greater environmental control and incorporates the outdoor atrium areas for swimming and recreation. Last edited by Nouvelle-Angouleme on Wed Dec 31, 2014 9:41 pm, edited 1 time in total. Proud home of the Rushmori Capital of Culture, New Amsterdam. De Stad Die Nooit Slaapt. City-state puppet of Venta de la Mesilla. Referring your correspondence earlier, we glad to accept your application which to take part in the effort to develop our Skypark towards a more successful. Your airline has been granted permission to utilize the installations at our airports. The details are attached herewith. Progressing to the stay at the airport more pleasant and comfy is the idea behind Sky Sanctuary™. 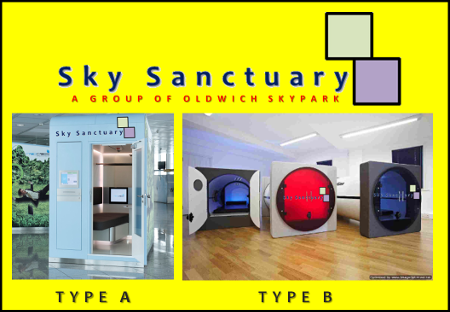 Sky Sanctuary™ offers the consummate solution for passengers and airports, to introduce the next level of comfort inside airport terminals. Enabling travellers to unwind and re-energize, the Sky Sanctuary™ sleeping cabins provides a secret hideaway from airport hectic and noisy. Sumiyoshi Airways and Eos Air introduce flights from their locations to Oldwich Skypark. In other development, Chief Human Capital Officer, Ms Swinerton confirm, Mr. Duncan Tremov was hired as Chief Legal Officer. Mr Tremov will be report directly to CEO of Oldwich Skypark. Destiny Airlines introduce direct flights from Raedburg International to Oldwich Skypark. They will be located at Terminal A, Gates A19 & A20. Last edited by Saltbridge on Wed Oct 04, 2017 1:28 am, edited 2 times in total. Xirvo Corporation is looking to offer you a deal. I would like to increase your security even more than what it currently is. Xirvo corporation has been in the Private Security business for well over a hundred years now. We offer a wide variety of options, we also are a worldwide force. We fight wars to saving hostages from terrorists and have been peacekeepers. Also with a great diversity of operations, we are sure that you will find what you are looking for. Xirvo Corporation "Contractors of the future." Xirvo Corporation is looking forward to helping your security on site. First we would like to give you the details of the package. While our packages are not the cheapest, our operators are highly effective. Now we are going to build guard towers and a few shacks on site. But they will be no cost to you, we also plan on installing a small armory to keep weapons safe from anyone who isn't an operator. If you need any more info. Don't hesitate to contact us. Based on our discussion to add some protection layer to our critical site, we have received your quotation for the same. We have thoroughly gone through the quotation provided by you, the quotations are within our budget and hence we are pleased to accept the quotation as well as to offer you the contract. With the help of continued co-operation our business expansion shall become successful. Thank you for your co – operation and attention. It will be great associating with you and your company.